Sock disclosure: User:Rschen7754 public is my public account. I am an active content writer, and my comments on most content-related issues are in my role as a content editor, not as an administrator. While my role as an administrator certainly does affect my interpretation of our content policies and guidelines, per w:en:WP:INVOLVED I only perform noncontroversial actions in the roads subject area. If you find this page on any site other than Wikidata (www.wikidata.org), you are viewing a mirror site. Be aware that the page may be outdated, and that the user this page belongs to may have no personal affiliation with any site other than Wikidata itself. 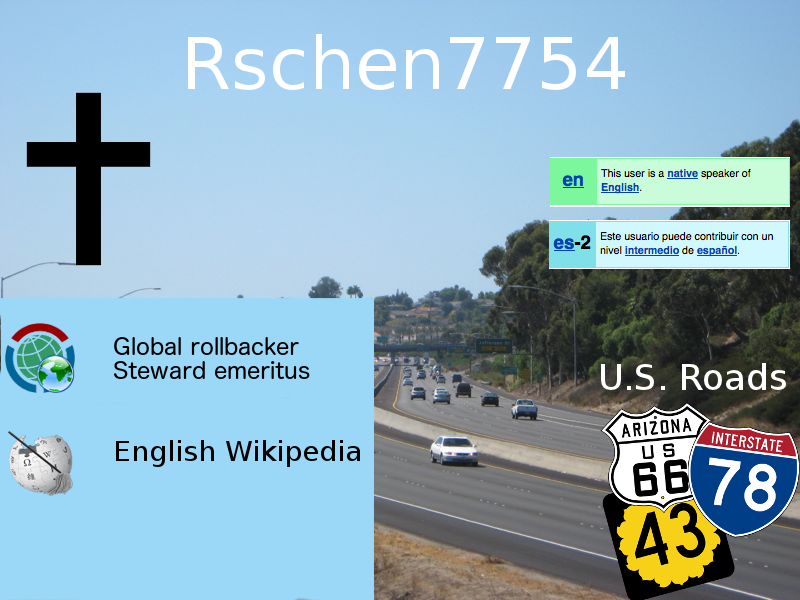 The original page is located at https://www.wikidata.org/wiki/User:Rschen7754.